During the first week of May 2010 ... harmonized sales tax (HST) transitioning rules went into play. I was going to remove this page but decided not to. 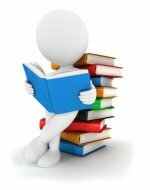 As information on transitioning begins to be removed from websites, I think the information I kept track of here will be an important reference for bookkeepers doing backwork. I'm guessing the same or similar rules will apply to Quebec's and PEI's transition as well. When BC re-implemented PST + GST (Can you hear me crying as BC loses their competitiveness globally and within Canada; not to mention double the paperwork?) on April 1, 2013, Prince Edward Island implemented HST. The provincial website for PEI has all the PEI HST information in one place. CRA released numerous bulletins in March 2013 for PEI. Click here for details. Quebec harmonized with GST on January 1, 2013. However, it is important to note that Quebec is NOT classified as a participating province. PST is no longer charged on GST. Financial services are also exempt instead of zero rated. Click here to learn how to setup QuickBooks to handle Quebec HST. Love your website !! We are a small bookkeeping office in Victoria, with one CGA for year ends. Your website is what we would do, if we had time !! A question .. no its a plea... no really I'm begging you ... HST information for clients ! I don't know where to start, really wish I had a one page sheet of basic info. Maybe your website ? I attended a webinar sponsored by IPBC in April 2010. The speaker was the esteemed Evelyn Jacks of The Knowledge Bureau on A Deeper Tax Knowledge. One of the topics discussed was the necessity for a bookkeeper to understand how sales taxes in Canada are applied. A high level overview on the key issues of GST/HST was presented. I'll combine the notes I took at the webinar with some of my own research and my notes from two other webinars ... the IPBC sponsored HST presentation in February by Mr. Garth Steele and the CRA free webinar. In past months, I have been tracking the harmonized sales tax announcements ... see the side box down and to the right for links ... relevant to the small business owner working from home ... as Ontario and British Columbia implement HST on July 1, 2010. Just last week (April 2010), BC passed Bill 9 eliminating the PST. (Due to a referendum, BC returned to PST + GST in April 2013.) Ontario had already passed their bill earlier this year. Harmonized sales tax is a more competitive tax than provincial sales tax as input tax credits flow through to make the tax neutral for most commercial activities. The consumer is the one who pays the tax. Professional services like accounting and bookkeeping fell through the cracks under PST. So while taxes on services will be increased, the input tax credits offset and reduce the regressiveness of the tax somewhat. The thresholds for HST will be the same as for GST ... $30,000. If you are already registered for GST, you are automatically registered for HST. It is expected that due to all levels of government in Canada returning to deficit financing ... tax audits will increase. During a GST audit, expect to have GST rebates audited as well ... particularly if the self-employed business owner is building a personal residence where the new housing rebate can be claimed. Bookkeepers in the construction industry should bring themselves up to speed on the new housing rebate rules ... see real property sales under "Transitioning Rules" further down this page. As bookkeepers, if you are setting up sale tax accounts for the first time, the system you choose will depend on whether the business is collecting and recovering the tax ... and how much of the tax will be recovered. The Regular method is tracking and reporting all GST collected and paid. The Quick method requires keeping eligible sales separate from exempt sales in order to claim your ITCs. You must track and exclude personal use supplies too. With the new place of supply rules, you also have to track your sales by the tax rate paid. The Simplified method requires tracking GST and HST purchases separately ... in other words by each different sales tax rate paid. As a bookkeeper, my preference when doing a client's books is to use the regular method. Evelyn Jacks confirmed during her presentation what I have always thought ... that the simplified and quick methods are more difficult to apply from a bookkeeping perspective than simply tracking the actual tax. Provincial governments will now pay the harmonized sales tax upfront on all of its purchases and claim a rebate from CRA for eligible HST amounts. This means businesses will no longer have to separate government purchases. Refer to Ontario HST Information Notice 6 for more information. I'm not sure of the reference for BC. Foreign diplomats are not exempt from collecting or paying GST or HST. If the business owner is NOT a GST/HST registrant, you set up your books a little differently as you don't need to track your goods and services tax or your harmonized sales tax paid. Show full amount of HST with any point of sale rebate(s) identified on a separate line. Show only the federal portion of the HST ... meaning you do not need to reflect the point of sale rebate on the invoice. Show pricing including HST with a notation of how much net tax was paid ... the way service station invoices for gas purchases report GST now. Cyndee Todgham Chernaik is a lawyer that provides advice on harmonized sales tax. According to Cyndee's blog, your invoice must say GST/HST (GST is not good enough) ... and you must show the tax rate (for the CRA auditors). "if the registrant chooses to indicate the tax on invoices, receipts or written agreements, the total amount of tax payable or the total of the rates (7% or 15%) at which tax is payable must be indicated on the invoices, receipts or agreements." ... RC4022 says the same thing. "An indication of the total amount of the GST/HST charged or that the amount paid or payable for each taxable supply (other than zero-rated supplies) includes the GST/HST at the applicable rate." You can find a summary of the GST/HST invoicing requirements, broken down by price in my discussion on audit trails. I do think it would be a good practice to always quote the sales rate. It would help bookkeepers data entry go more smoothly ... and ensure you get the correct amount of input tax credits when entering your own purchases. ... remitted when you file your first HST report covering the month of July. Only the federal GST portion is remitted prior to July 1, 2010. When you do your July period return, if you chose option one for invoicing from above, you would show your rebates on adjustment line 107 with the full amount of the harmonized sales tax before rebate on line 103. If you selected option two or three for invoicing, then use line 103 to report the federal portion of the harmonized sales tax. Between May 1 and June 30, 2010, transitioning rules came into effect. 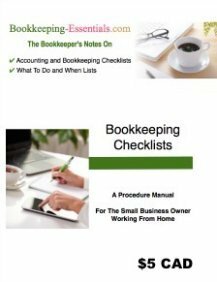 Bookkeepers doing backwork need to be up to speed on this. GST/HST Notice #247 is the CRA publication on this subject. HST Notice#1 was published by the BC government on the subject while the Ontario government released HST Notice #3. Starting May 1, 2010 HST was to be charged on any purchase if the payment was made or became due after April 30, 2010 ... BUT delivery of the goods or services was made after June 30, 2010. HST did not apply if delivered before July 1 but paid after June 30. Exception - If 90% of services are completed before July 1, 2010, HST was not payable on the 10% of services provided after July 1. There are some special transitional rules for leases, passenger and freight transportation services, prepaid services like funerals, as well as memberships and admissions ... and real property sales in Ontario and BC. Non-personal consumers should have been self-assessing between October 14, 2009 and May 1, 2010. My understanding of the general rule is if you can't claim input tax credits, you had to self-assess ... reporting and remitting the amounts after June 30, 2010. Both BC and Ontario will have exemptions just like GST ... and point of sale rebates for certain items on the provincial portion of the harmonized sales tax. BC point of sale rebates are slightly different than Ontario point of sale rebates. As mentioned earlier, customer invoicing will not need to reflect the point of sale rebate. BC residents, unlike Ontario residents, will receive a residential energy rebate. Details pertaining to the program was issued on May 6, 2010 in HST Notice #10 Residential Energy Credit and Rebate Program-Notice for Consumers. Work from home business owners need to take time to read Harmonized Sales Tax Notice #10 as you are NOT eligible for the credit but must apply for the rebate. The new housing rebate will be available on new homes purchased as a principal residence in Ontario and BC. Ontario will also have a new rental housing rebate. Just a reminder that US sales are generally zero rated supplies ... which is different than exempt supplies. There are sales tax transitional benefits available to offset the additional harmonized sales tax costs for BC and Ontario residents and Ontario business. Ontario taxpayers who filed their 2009 tax returns received a total of $1,000 for families with income less than $160,000 and a total of $300 for individuals earning less than $80,000. The payments was received in three installments - June and December of 2010 and June of 2011. That would be $330/$335/$335 and $100 respectively on each payment date. Low and modest income Ontario taxpayers received an Ontario HST Credit (OSTC) ... $260 per family member for families earning up to $25,000 and individuals earning up to $20,000. There was a 4% phase out on incomes above the threshold. You apply by filing your 2009 tax return. It was issued separately of the GST credit (and in addition to) with payments in August, November, February, and May ... beginning August 2010. Seniors were able to receive the Ontario Senior Homeowner's Property Tax Grant (ASHPTG) where the maximum grant is $500. This grant was first available by filing your 2008 tax return. Low and modest income BC taxpayers received a BC HST Credit (BCHSTC) ... $230 per family member for families earning up to $25,000 and individuals earning up to $20,000. There was be a 4% phase out on incomes above the threshold. It was integrated with the GST credit and the climate action tax credit which is paid out in quarterly installments. More information can be found under Child and Family benefits on the CRA website. 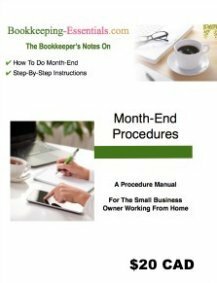 Lastly, bookkeepers need to become familiar with the new place of supply rules. Perk up your ears because this is NEW!!! Old rules for what GST/HST rate to charge were based on supplier location, now they are based on customer location. The transitional rules for place of supply became effective May 1, 2010. Tangible personal property ... no proposed changes to rules ... generally tax based on where the goods are delivered. Real property ... no proposed changes to rules. Services ... generally tax based on the location of the customer ... it is no longer based on your location. Intangible personal property (IPP)- new rules - generally tax based on where the IPP can be used ... and location of receiver / recipient is a factor. As the new place of supply rules apply to sales made in Canada and are now based on the customer's location not yours, make sure you take the time to review and update your customer addresses. Auditors will require this during a sales tax audit. I have created a table of Sales Tax Rates across Canada as a Handy Bookkeeper's Reference for you. The business address of the customer where the business has the most contact during providing services. The business address of the customer who hired the business. The business address of the customer on the invoice billed to the customer. services supplied on board planes, trains, etc. CRA's Technical Information Bulletins B-103 Place of Supply Rules under the HST can give you more detail. Insurance in Ontario continued to attract RST. Insurance businesses were automatically registered, while others needed to register before June 30, 2010. The BC government blog (hst.blog.gov.bc.ca) states that BC's insurance premiums are exempt from HST. Hotel room tax and alcohol tax was replaced with the harmonized sales tax while private vehicle sales were still charged provincial sales tax. Also includes private sales of boats and aircraft in BC. Read more here. Q. How does HST affect businesses in non-participating provinces like Alberta, Saskatchewan, Manitoba, and PEI? A. C. Stuart McKelvie, FCA wrote an excellent article in the Winnipeg Free Press on June 26, 2010. Every business owner in Alberta, Saskatchewan, Manitoba, and PEI should take to time to read Coming HST not an issue here? Think again. what to do if you are charged the wrong amount of sales tax. This excellent article is located at www.winnipegfreepress.com> Business> coming-hst-not-an-issue-here-think-again-97216964.html . Q. Do Alberta businesses have to invoice for HST? Do Alberta contractors charge BC HST when working in BC? Place of supply rules for goods are still based on where the good is delivered to your customer ... they did not change. This means if your customer was in your store purchasing goods, the customer is located where your store is. New place of supply rules for services and intangible personal property are now based on the province of the customer ... which may not be the same place as where the work is performed. This means if your customer is in a non-participating province (GST), you would charge GST only. If your customer is in a participating province (HST), you would charge HST. BC is a participating province, so you would charge harmonized sales tax. Q. Can I Claim HST ITCs for services bought in BC in order to provide services or training in Alberta where there is no HST? A. It is my understanding that any purchase that includes GST/HST, which was made to run your business with the expectation of making a profit, is eligible for claiming ITCs ... as long as you are a GST HST registrant. However, with the new place of supply rules, if your business is established in Alberta, the services purchased in BC should no longer charge you harmonized sales tax. You should be charged only GST as the tax is now based on where the customer is located and/or receiving the service. Q. Do I charge HST to Alberta residences? A. It depends on whether the Alberta resident is physically in your store or you are shipping goods to them. Take a look at GST/HST Out of Province Sales and GST/HST Electronic Sales in Canada. Q. Do I charge Ontario consumers ONT HST if my company is in BC? A. Depends. If they purchase goods or services while in BC, then you charge BC HST. If you ship the goods or deliver the service online to the consumer in Ontario, then you charge ONT HST. Read an overview of the HST place of supply rules where you will find the different supply categories and link(s) to easy to read flowcharts to help you decide what amount to apply. See CRA GST/HST Technical Information Bulletin B-103 Harmonized Sales Tax Place of supply rules for determining whether a supply is made in a province. You may also want to check out the CRA GST/HST Info Sheets GI-053 to 084 dealing with specific place of supply rules that do not fall under the general rules. I summarize the general rule for out-of-province sales tax rates on The Rates page. If you have internet sales, you can may be interested in CRA's views on virtual income and expenses. Q. What are the CRA rules pertaining to HST displayed on customer invoices? How do I invoice for harmonized sales tax? A. The same rules for GST apply to HST. You have three invoicing presentation options. All three take point of sale rebates into consideration. Q. How do you enter HST into QuickBooks? How do I track meals and entertainment ITCs? How do I track the GST/HST rebate for non-profits? A. Check out the Ontario HST free webcast offered by Intuit on how to setup HST in QuickBooks, including split transactions used by Not For Profits or when recording meals and entertainment expenses. Q. How do I track temporary recapture of ITC in BC? How do I do the accounting for HST ITC recapture? A. Check out the BC HST free webcast offered by Intuit on how to setup QuickBooks for the recapture of input tax credits and how to adjust your GST/HST return for the provincial portion of the transitional amounts collected between May and June but due in July. Intuit has two free webcasts on setting up harmonized sales tax in QuickBooks - one for BC and one for Ontario. Ontario's webcast by Richard Krummenacher CA, CPA, CFP of Deeth and Company Chartered Accountants includes how to setup QuickBooks to handle split transactions for Not For Profits and/or meals and entertainment. Although Intuit still has the link to this webcast posted, when you follow through, it is no longer available. If anyone was able to get a download of this video, I would really appreciate it if you would contact me and share a copy of it with me. The BC webcast by Eileen Reppenhagen CGA includes how to setup QuickBooks to handle the RITC ... and how to adjust the provincial portion of the HST collected during May and June but not to be reported and paid until your first return after July. You find both webcasts at community.intuit.com/posts/intuit-hst-webinars. If this link changes, you can find it by going to Intuit Community >Help with Intuit Products> >International> QuickBooks Canada> Click here to view our Media Library. I watched both webcasts and I found them helpful. CRA offered HST transitional webinars in May and June ... for those who didn't want to or couldn't attend their live seminars. As of November 30, 2010, CRA no longer has a special section on HST. Everything has been integrated into the regular GST/HST section. You can still see the CRA webcasts ... but I don't know for how much longer ... and it is no longer easy to locate them. Go to CRA web site and in their search box, type in webcast or videocast. Select Media Room> Videocasts> 2010> Harmonized Sales Tax for Ontario and British Columbia. You may have to look in their archives for this. BDO has a page on their website specifically about BC and Ontario at bdo.ca/library/publications/tax/taxalerts/the-transition-to-the-hst-in-british-columbia.cfm ... or change "BC" to "ontario" for their page. Deloitte's website (www.deloitte.com) under Indirect Tax and Customs. Look for the article called "Proposed Harmonized Sales Tax Place of Supply Rules Released". You will find useful flowcharts for services and IPP and an exception table. It comes in a pdf format you can download to your desktop. There are a lot more out there ... these are just the ones I stumbled upon. ... follow the links on this page ... and expect this page to be edited and updated regularly as I put it together quickly ... and some of the harmonized sales tax information has not been released yet. My suggestion to you ... enjoy a cup of tea while you click and poke and peek and snoop this site ... perhaps start with the site map which lists all the articles by section .